SPAIN: Burgos: Why are they rioting? 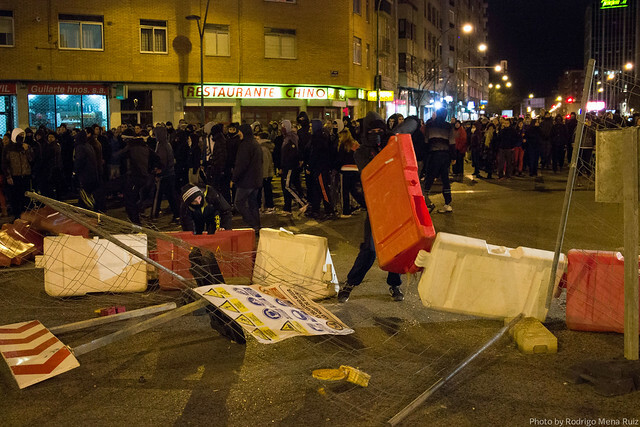 The northern city of Burgos is entering its fifth day of riots. On Saturday alone, 41 people were arrested and 21 hospitalised, including several police. The fuss is supposedly over the remodelling of a main street in the city, but it runs deeper than that. You see, on the one hand we have the local residents, who don’t want the current plans. 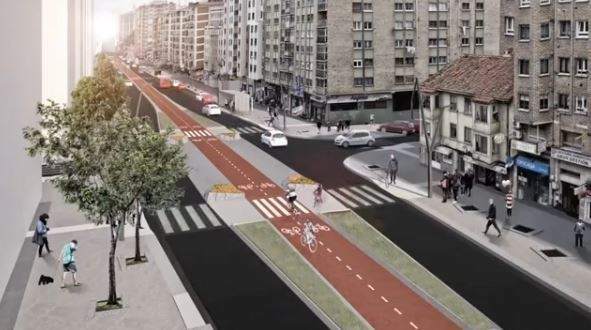 It reduces the capacity of the street by half – which residents think will cause traffic problems. It gets rid of 300 free parkingplaces, and replaces them with a paid for underground car park. And, of course, it’s 18 months of roadworks and digging. Alternate proposals put forwards by neighbourhood associations have, in the main, been rejected out of hand. And on a bigger scale, across the town, the citizens are asking why the townhall is spending 8 million euros on this when at the same time they are scaling back rubbish collection and closing schools and OAP day centres due to cash problems. Burgos is a town which is heavily in debt, and has seen sweeping cuts in social programmes to try to avoidbankruptcy. Spending eight million euros -most of it borrowed, thus inflating the debt- on what is basically a “facelift” is not only seen as bad management, but has lead to whispers of corruption and back handers. Indeed, Burgos owes the banks 135 million euros and can’t even keep up on the repayments. And the tender for the construction has gone to a notorious builder called Antonio Miguel Méndez Pozo who has spent several spells in jail for corruption and illegal building – in the 90′s he was sentenced to 7 years after a series of building permits were found to have been faked (reduced to just one year on appeal, but hey). The street is ours! reads the banner. But the problems run even deeper than that. In a society where half of the under-25′s are unemployed, where overall one in three can’t find a job because there aren’t any, where the rich seem to get richer and corruption is daily in the press, this project just seems to have caused the citizens of the city to explode. And the declaration from the Mayor, Javier Lacalle (PP), over the weekend that he was going to ignore the protests, and if necessary carry out the works with police protection, were the final spark which lit the bonfire. Sunday morning saw 3,000 people in the main square on a peaceful demonstration to ask the Mayor to reconsider. Sunday evening saw hundreds participating in running battles with the police throughout the area. Posted on January 15, 2014, in Europe and tagged Spain. Bookmark the permalink. Leave a comment.